Explanation: What arm is 17 meters long and sometimes uses humans for fingers? The Canadarm2 aboard the International Space Station (ISS). Canadarm2 has multiple joints and is capable of maneuvering payloads as massive as 116,000 kilograms, equivalent to a fully loaded bus. 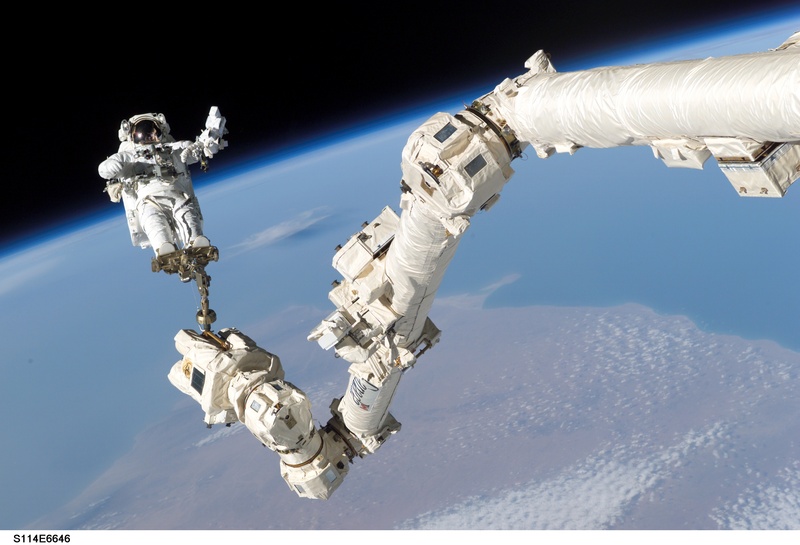 Canadarm2 is operated by remote control by a human inside the space station. To help with tasks requiring a particularly high level of precision and detail, an astronaut can be anchored to an attached foot constraint. The arm is able propel itself end-over-end around the outside of the space station. Pictured above, astronaut Stephen Robinson rides Canadarm2 during the STS-114 mission of the space shuttle Discovery to the ISS in 2005 August. 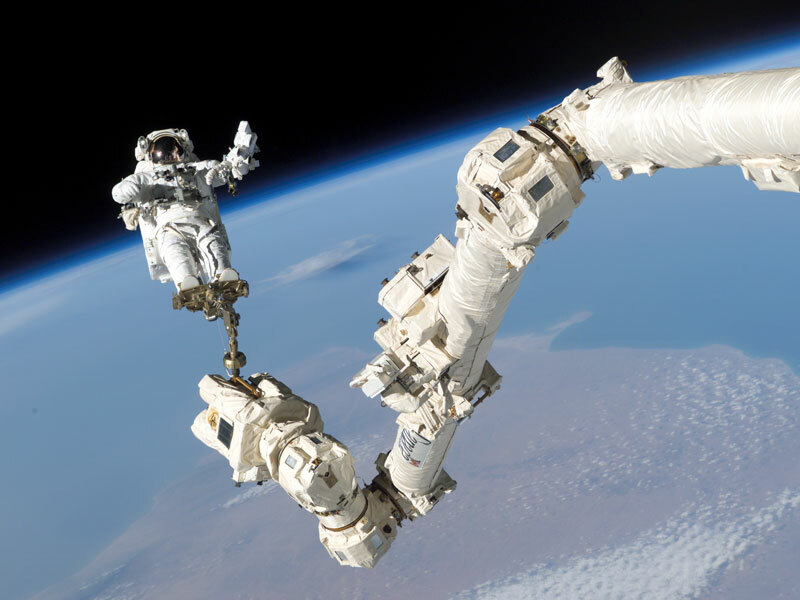 Space shuttles often deploy their own original version of a robotic arm dubbed Canadarm. Next year, a second robotic arm is scheduled to be deployed on the space station.